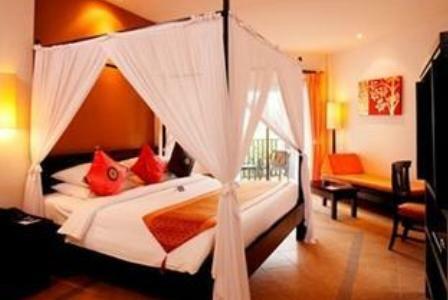 The Horizon Karon Beach Resort Phuket is located at the southern end of Karon Beach, on the south west coast of Phuket. 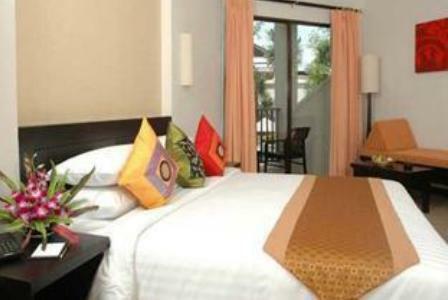 The resort is ideally positioned on a hillside a short distance back from the beach. The elevated hillside position ensures fantastic views in a private and peaceful setting. Although the resort is located in a quiet setting it is still within walking distance to the beach, shops, restaurants and bars in both Karon and Kata. 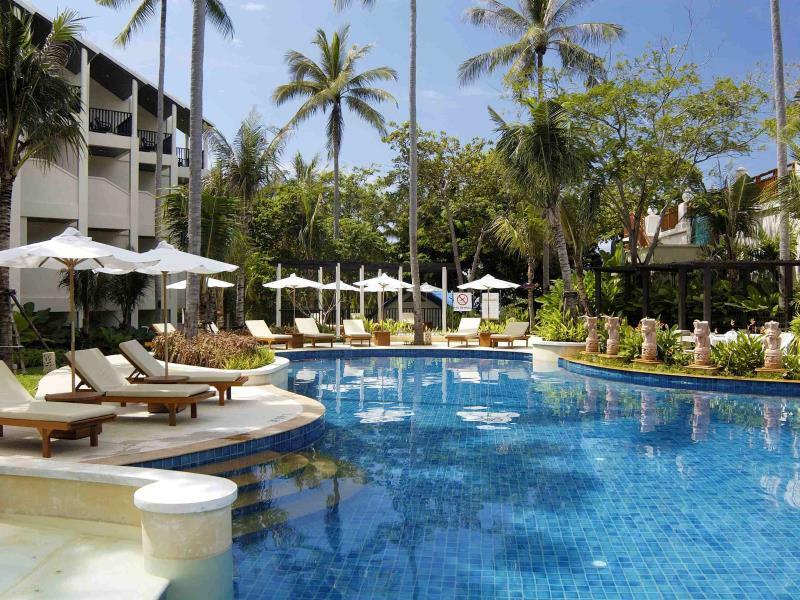 The Horizon Karon Beach Resort Phuket is split into two wings, the Horizon Wing and the Privilege Club Wing. Each wing is surrounded with tropical gardens, and has its own swimming pool. The Horizon Wing was created especially for families, with two large swimming pools, a swim up bar for the parents and a separate babies pool. There is also a poolside massage area and a kids club with indoor activities and an outdoor playground. Superior pool view rooms in the Horizon Wing are spacious and feature private balconies overlooking the pool. All rooms are tastefully decorated and are equipped with up to date amenities and contain either one king size bed or two queen size beds that will accommodate the whole family. 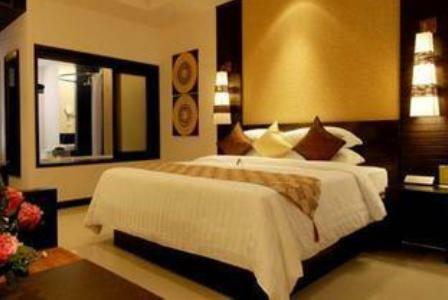 Interconnecting rooms are also available on request. Superior sea facing rooms are the perfect choice for couples; all sea facing rooms are located on the top floor with private balconies and feature a king size canopy bed. 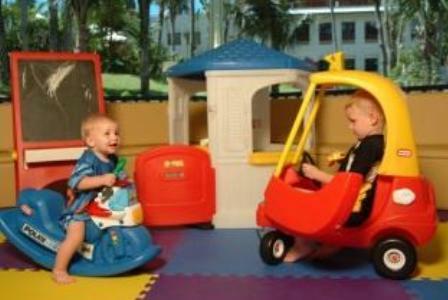 Interconnecting rooms are not available in this room type; however baby cots are available at no extra charge. 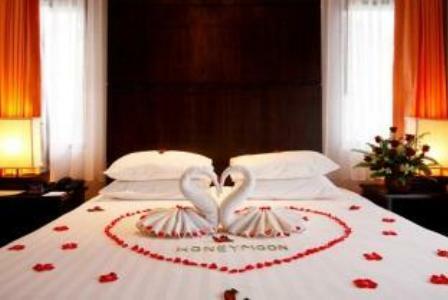 Honeymoon Suites - There are two honeymoon suites at the Horizon Beach Resort at Karon. These suites feature a separate bedroom and living room area, a large bathroom and private kitchenette with views overlooking Karon Beach. The Privilege Club wing of the resort is an idyllic hideaway, and is only available for adults. As much as this resort is geared for families this area of the Horizon Karon Beach Resort is off limits to anyone under the age of 18 years old. If you would prefer not to share a pool with kids this is the place to stay. The Deluxe Club Wing rooms feature a large balcony overlooking the garden, with a walk in rain shower and separate bathtub. 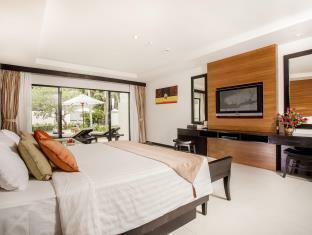 The deluxe Club rooms are fitted with beautiful fittings and come with either a king size bed or two queen beds. Club rooms are the most spacious offering a modern design fitted with either a king sized bed or two queen beds and a separate sitting area. The Club rooms overlook the pool and the garden area. Pools access rooms are designed for the ultimate getaway for couples with direct access to the pool from the large private terrace. 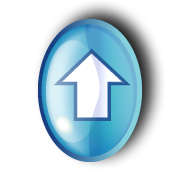 Interconnecting rooms are not available in this room type. As a Club Wing guest you will be able to enjoy the use of the private pool and Jacuzzi. There is a selection of bars and restaurants at the Horizon Karon Beach Resort Phuket with a delicious selection of Thai, Italian, Mexican, Indian and Continental specialties. The Horizon Karon Beach Resort runs a complimentary shuttle bus service for guests between Karon and Patong Beach at regular times throughout the day. 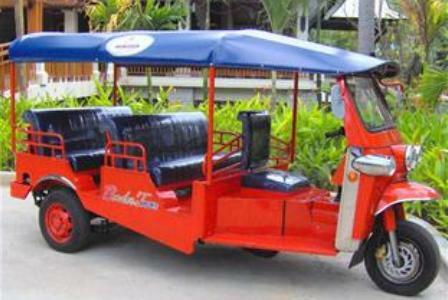 As the resort is located on a hill the resort also operates a complimentary Tuk Tuk service up and down the hill. Within walking distance from the resort there are lots of fantastic little restaurants including Kata Villa. Close by there is also a couple of mini marts, money exchangers and something special for the kids at Dino Park Mini Golf. Take advantage of the free shuttle bus in and out of Patong, this will save you a lot in taxi or Tuk Tuk fares, check with reception to see what time the shuttle runs. At the bottom of the hill is a taxi stand, or if you want to go to Phuket Town you are better off catching the local bus from the main road next to the beach for around 30 baht each, much cheaper then catching a taxi. The Horizon Karon Beach Resort is fantastic for families with kids, read hotel reviews written by other families about their stay at the Horizon Beach Resort at Karon. 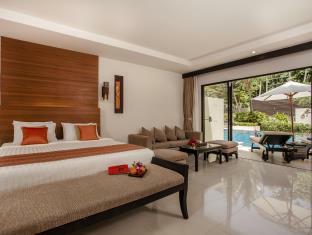 Or see what other visitors thought of their family vacation at the Horizon Karon Beach Resort on TripAdvisor.